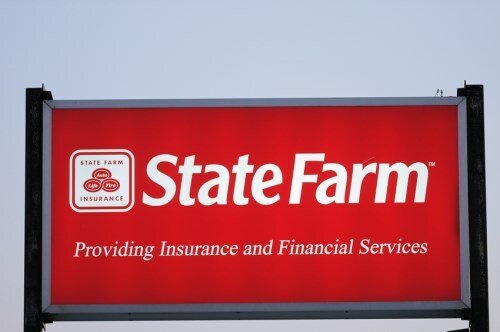 How much does State Farm’s CEO earn? The head honcho of State Farm might be known for running one of America’s biggest insurance companies, but he now has another claim to fame. A report by WGLT found that State Farm chairman, president, and CEO Michael Tipsord has one of the lowest total compensations of any insurance company leader. According to documents filed with the Illinois Department of Insurance, Tipsord’s total compensation in 2017 was $8.5 million – this included a $1.6 million base salary and a $6.9 million incentive-based bonus. In all, the amount is less than what his predecessor, Ed Rust Jr., made during the latter part of his tenure. Between 2007 and 2015, Rust’s total compensation was around $9.4 million to $13.6 million. WGLT reached out to State Farm for a comment regarding the pay difference. “State Farm maintains a competitive, market-based compensation structure for all associates within the organization. This structure links performance and compensation,” said company spokesperson Jim Camoriano in an email statement. Tipsord was appointed president and CEO of State Farm in 2015. He was later named chairman in 2016. WGLT took a step further and compared Tipford’s earnings versus other insurance CEOs based on public records and financial documents, and found that he still has one of the lowest pays. Tipsord joined State Farm in 1988. He was later appointed to serve as vice-president and assistant treasurer in 1998, vice-president and treasurer in 2001 and senior vice-president in 2002. In 2004, he was tapped to serve the role of chief financial officer in 2004, then chief operating officer in 2011.